Harbor Community Clinic always appreciates feedback from our valued patients. To date, we’re thrilled to have collected 15 reviews with an average rating of 4.87 out of 5 stars. 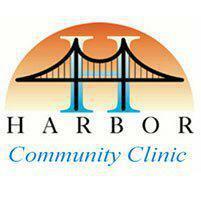 Please read what others are saying about Harbor Community Clinic below, and as always, we would love to collect your feedback. Everyone was helpful and kind. I have nothing negative to say. At first when my insurance said I have to see my OB at this facility I was skeptical. However, it is simply amazing. The facility itself is equipped - The nurses are amazing and friendly and Dr Barry Tischler is the Ob/gyn and he is simply one of the best doctors I have met. He is experienced, caring, gentle and respectful. He has a great sense of humor as well and makes you comfortable. This looks like it’s going to be the best pregnancy I had so far! Thank you to the clinic. My doctor was courteous and DOW t quality time getting to know my lifestyle as well as my medical condition. The staff itself was courteous and efficient. I did not keep this appointment. I cancelled it last week and rescheduled it for approximately 2 weeks in the future. Don't know why I'm getting this as the receptionist assured me that the April 23rd appointment was cancelled. See you in a couple of weeks! Good experience overall. Not five cuz I believe they should be more proactive rather than reactive. Ex: Offer or asking if guidance is needed instead of waiting for patient to ask or wonders around. I really love this clinic. The doctors really care about their patients. Staff behind the counter are always professional and courteous. My scheduling experience was smooth and helpful. The young lady that scheduled my appointment, Myra, was very knowledgeable and informed me well. I am looking forward to meeting the staff and the practitioners. Thank you Harbor Community. Remarkably skilled practitioners who for some reason choose to help the hardest to help. No judging, just healing. The people that work here are very nice and the doctor was super kind. The inside of the clinic looks a lot nicer than the outside and my wait to see the doctor was only a few minutes. Thanks to the front desk for getting me in quickly. These folks treated me with compassion and respect. Nurse Practitioner Campbell was especially great. I'm actually looking forward to my next appointment here.